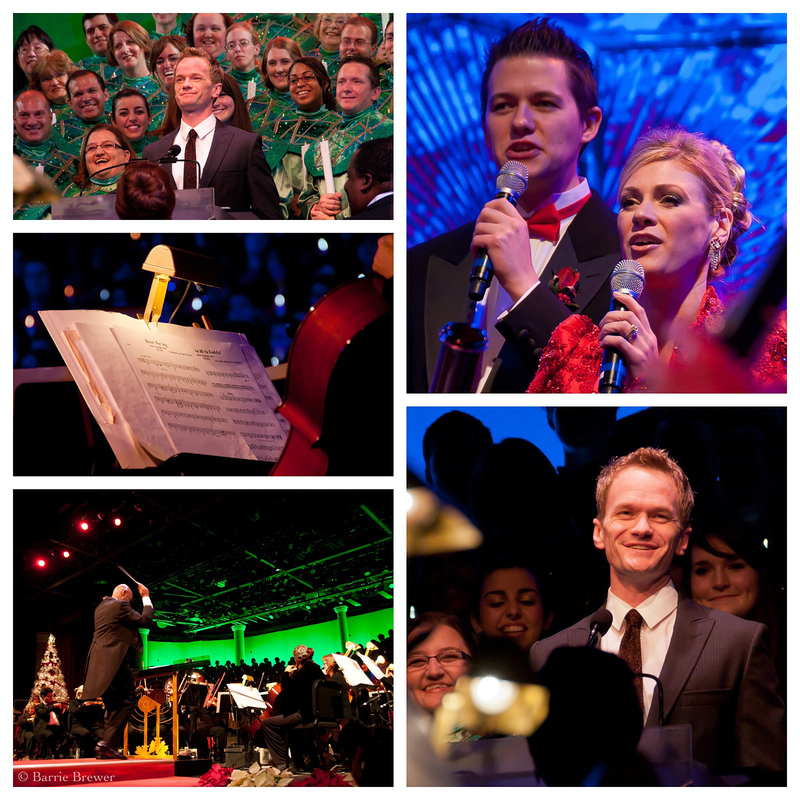 Neil Patrick Harris is narrating the Candlelight Processional this very moment! Unfortunately, I am sitting at my computer in Oregon, missing the opportunity to catch his performance by a mere two days. The Candlelight Processional is a timeless holiday offering at Epcot that combines seasonal music with the poignant reading of the Christmas story by a celebrity narrator accompanied by a mass choir performing seasonal melodies and a 50-piece live orchestra. The Candlelight Processional is performed nightly November 23 – December 30, at 5, 6:45 and 8:15 p.m. in the America Gardens Theatre in World Showcase in Epcot. Guests can purchase a Candlelight Dining Package, which combines lunch or dinner at select Epcot restaurants with guaranteed seating for the Candlelight Processional and VIP viewing of IllumiNations: Reflections of Earth. I’ll be trying the Candlelight Dining Package for the first time on December 7 when Blair Underwood is narrating. I’ll let you know my thoughts on the package in a future post. Call (407) WDW-DINE (939-3463) to make reservations for the Candlelight Dining Package.